This is the couch Freud's patients laid on during Psychoanalysis. It's a nice couch. 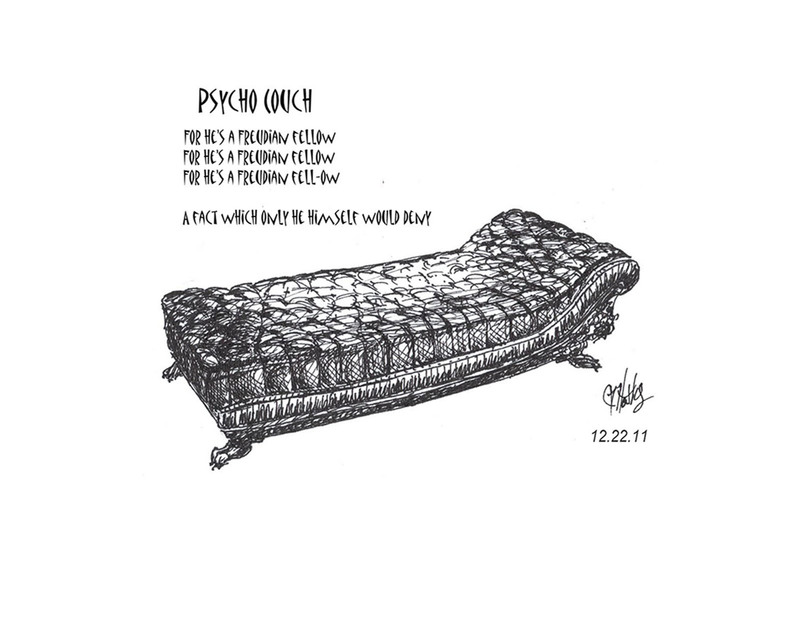 But not as nice as my psycho couch. 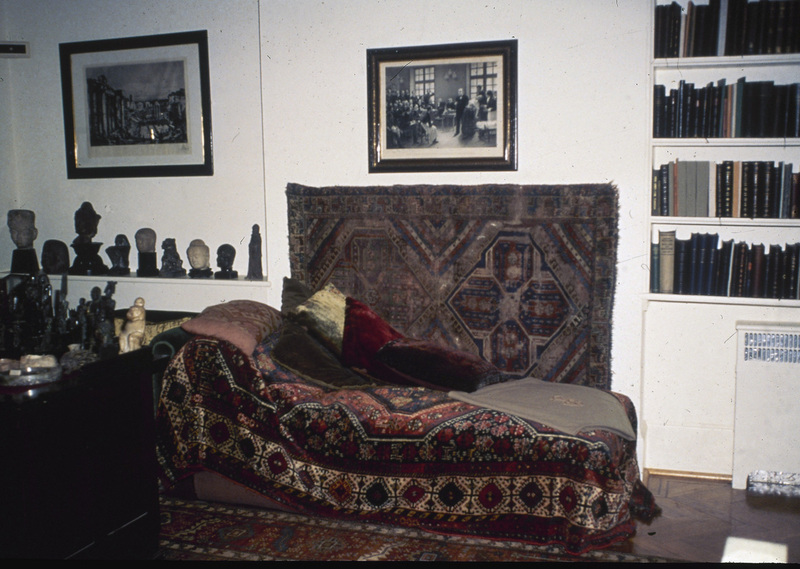 Apparently Freud's couch has fallen into disrepair and the Freud Museum in London has issued a plea for donations to finance the restorations. A gift from one of his patients, it went with him from Vienna to London when he fled the Nazis, and seated some of his most famous patients, such as the hysterical "Dora" and neurotic "Wolf Man." Freud supposedly told a friend that he used a couch because "I cannot let myself be stared at for eight hours daily." For $7,500 I would consider loaning them my psycho couch. I don't practice Psychoanalysis on it, but I have taken a couple of power naps. 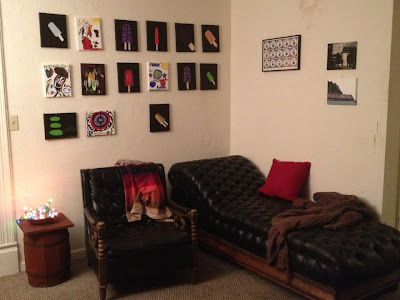 I may have even written the poem The Faculty party on that very couch. Keen observers will be able to see the Zombie Logic Press corporate logo in the back, and a painting of The Midway Theater on the west wall, but you'd have no way of knowing it was the west wall until I told you.